Shane Myrbeck is a sound artist, composer and acoustician based in Oakland. Shane’s work explores the visceral and immersive nature of sound through spatial audio systems and architectural form, and he engages its uncanny ability to transform and direct experience. Many of Shane’s pieces involve site-specific multichannel audio installations. His work has been exhibited at the Huntington Gardens, World Science Festival, Dolby Gallery, the Intrepid Sea, Air and Space Museum, Goldenvoice’s Panorama Festival, Fort Mason Center, Gray Area Foundation for the Arts, California Academy of Sciences, the Contemporary Jewish Museum, Proxy, the Hosfelt Gallery, SPUR, the Lab, IBM Tokyo and on the streets of San Francisco. 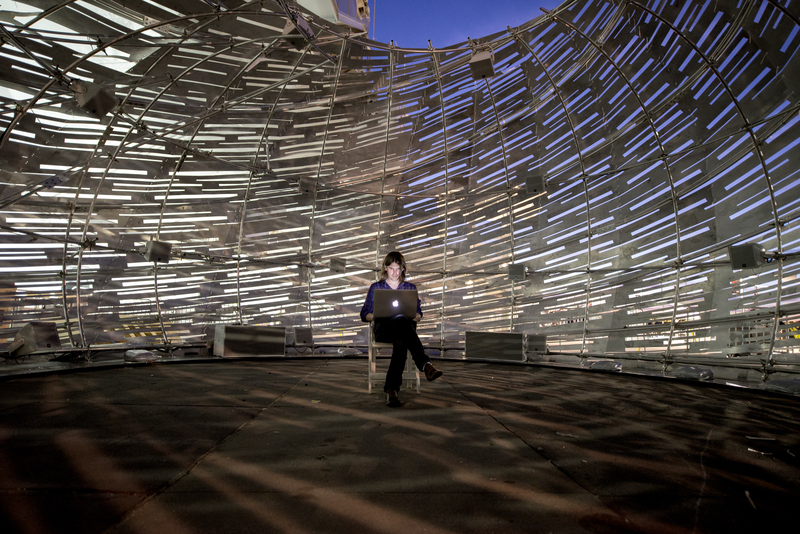 Recent residencies include Montalvo Arts Center, San Francisco’s Exploratorium and NASA’s Jet Propulsion Laboratory. Shane is also an Associate at the global architectural engineering firm Arup. He is based in San Francisco’s Acoustics, Audiovisual and Theatre consulting team, where he is a project design lead and valued creative mind. In addition to architectural project work and internally-funded psychoacoustic research, Shane leads the SF SoundLab, an immersive sound studio used for acoustic simulation of architectural spaces, sonic VR experiences, soundscape design and new compositions. The Arup SoundLab has been on the forefront of immersive sound for experiential design for nearly two decades, employing technologies such as ambisonics, wave field synthesis and binaural presentation. Some of Shane’s recent Arup project work includes SFMOMA, the Lighthouse for the Blind and Visually Impaired, SFOpera and many others.